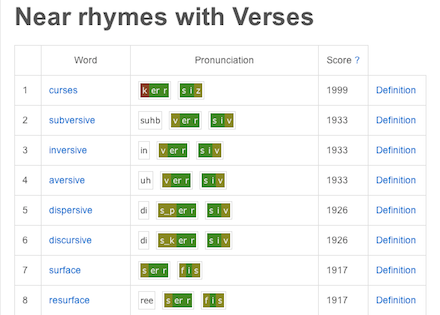 B-Rhymes is a rhyming dictionary that's not stuck up about what does and doesn't rhyme. It gives you words that sound good together even if don't technically rhyme. Give it some love by sharing it with your friends.